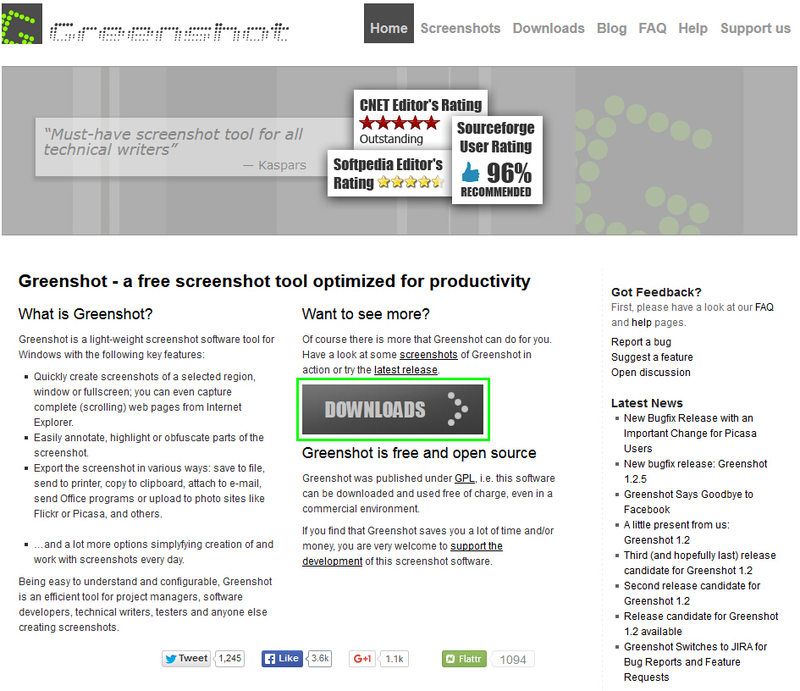 Greenshot is an easy-to-use screenshot program. 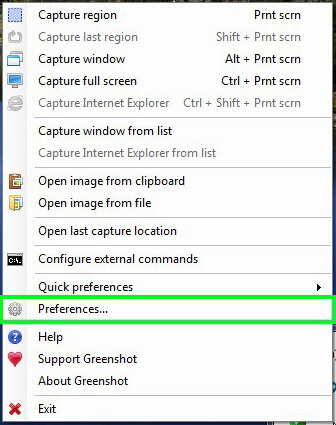 This is a great alternative if using the "Print Screen" + MS Paint isn't desired as Greenshot gives you the choice to only capture what you deem is absolutely necessary. 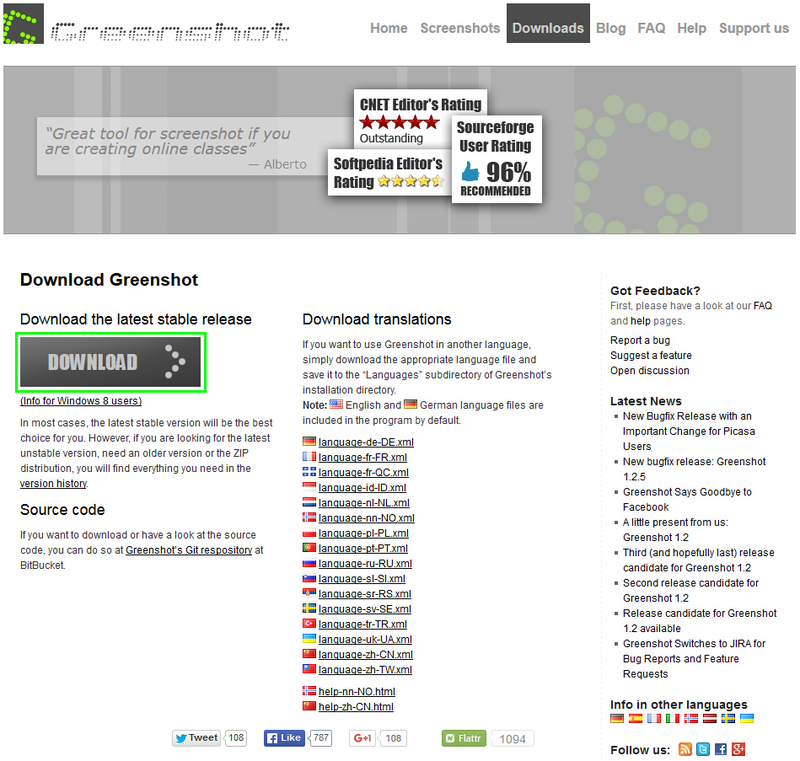 You can download Greenshot here. On the next page, just click "Download" again. English and German are standard, so if those are your preferred language, you won't have to download any additional language files. They do offer other language files if you are less comfortable in English or German. After it's done downloading, initiate the install. At one point, you'll be asked about installing additional plug-ins. These plug-ins will work on commonly used applications and websites. Once it's done, it will ask you if you want to run the program and if you want to run it on Windows start. The program isn't noticeable on start-up, so we suggest clicking this box. Once it's all installed, check your task tray to make sure it's running. Rick click the Greenshot icon and select "Preferences". Greenshot has a ton of customization options. We'll go over the simple ones that will make taking the screenshot and finding it easier. We'll let you play around with the other options! In the "Capture region" hotkey, you can change up the hotkeys you use to take the screenshot. We suggest using a combination of function keys (Ctrl/Alt/Shift/Caps) and normal keys (numbers/letters/symbols). After you customize your capture hotkey, go to the "Output" tab and follow the steps below. 1. This will dictate where the screenshot will be saves. You can click "..." and you can manually choose a file or location to save to, or you can enter the pathway by copying from the folder. 5. You can uncheck this box if you want. Leaving it checked will copy the file location to your clipboard, meaning the next time you ctrl+V it will paste the location of the file. Here you can edit the save methods. We suggest leaving the "Save as" checked, and any other options are up to personal preference.